Note: Is your MARS text unreadably small? Download and use a new release Java 9, which contains a fix to automatically scale and size AWT and Swing components for High Dots Per Inch (HiDPI) displays on Windows and Linux. Technical details. Feb. 2013: "MARS has been tested in the Softpedia labs using several industry-leading security solutions and found to be completely clean of adware/spyware components. ... Softpedia guarantees that MARS 4.3 is 100% FREE, which means it does not contain any form of malware, including spyware, viruses, trojans and backdoors." Download MARS from Softpedia (version on Softpedia may lag behind the version on this page). Option A: Desktop. Save the jar file on the desktop. Run MARS by double-clicking the icon. As of V4.0, MARS requires Java J2SE 1.5 (or later) SDK installed on your computer. A "tool" is the MARS utility for MIPS control of simulated devices, including contention for resources. Sample tool is a Scavenger Hunt (screeenshot 23KB), in which each student writes a MIPS subroutine to direct the path of a character to travel to several locations. 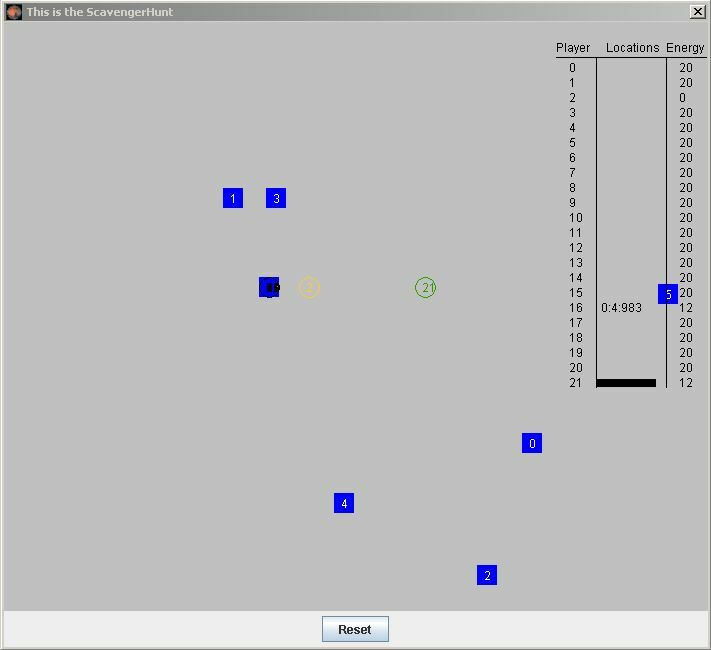 The companion Java "tool" program graphically displays the position of each character as the Scavenger Hunt game progresses. Interested instructors please contact Ken Vollmar for MIPS assembly solution or further information.